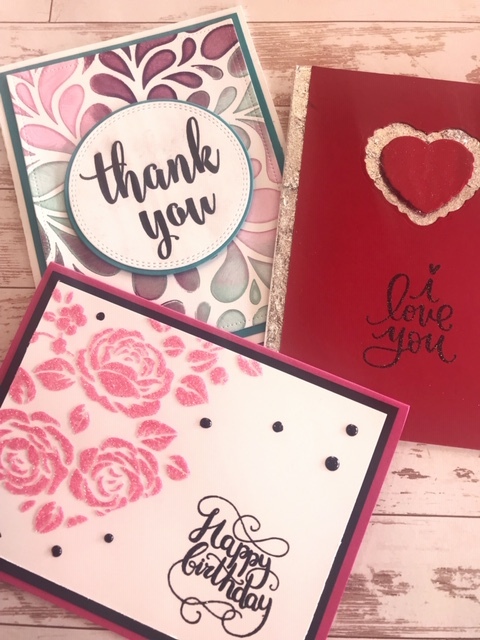 Learn all about sparkle and shine with the amazing Nuvo products to create three beautiful cards. Products featured in this class include Nuvo Gilding Flakes, Nuvo Embellishment Mousse, Nuvo Glimmer Paste, and Nuvo Crystal Drops. Please bring the required ‘basic toolkit’ that includes- adhesive (tape or glue), scissors, small paper cutter, and foam adhesive (strips or squares).